A treasure of period history is captured through 162 letters written over four years during a long-distance courtship. 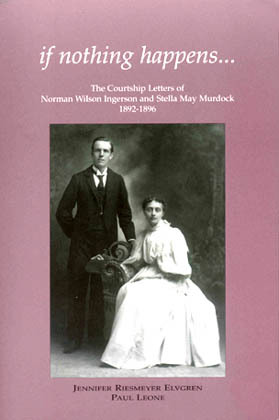 The letters were penned by Norman Wilson Ingerson and his bride-to-be, Stella May Murdock. They vividly capture life in Western New York and Pennsylvania during the Gay Nineties. They also reveal in intimate and unaffected detail the conflict between emerging love and a deceptive, not so gentle society. The 166-page book was compiled by Jennifer Riesmeyer Elvgren, the great-granddaughter of the couple, and by regional historian Paul Leone.